Volcanoes are among the most devastating forces on Earth. These naturally occurring land features act as vents that release the pressure and magma from within the Earth’s crust. They smoke, rumble and spew rock, ash and lava, and sometimes they do catastrophic damage to the immediate area. Not all volcanoes are the same. The characteristics that identify the different types of volcanoes include their form, size, types of eruptions and even the type of lava flows they produce. A fissure volcano, also referred to as a plateau basalt, is not what most people would envision at the mention of the word volcano. There is no mountain or hill; it is simply a gap in the earth’s surface from which volcanic activity erupts. Generally these volcanoes are characterized by gentle eruptions of basalt magma. They are usually on a very small slope or on completely flat terrain. They expel a large amount of lava that, when cooled, forms a flat plain of basalt and leaves behind no real “volcano-like” features. Fissure volcanoes are the type found in Iceland. In 1952 a fissure volcano erupted in Nicaragua. Shield volcanoes are generally large, rounded mountainous volcanoes with large craters near the top of the mountain. These broad, sloping volcanoes erupt over and over again and build the mountain higher over centuries of long-distance eruptions. They generally do not explode violently in comparison to some other types, but often send lava flows for many miles in a slow ooze down the lengthy rounded slopes. Mauna Loa is a shield volcano on the big island of Hawaii. It is the largest active volcano on earth. It rises 30,000 feet from the ocean floor and measures more than 100 miles across its base. Kilauea, the world’s most active volcano, is located next to Mauna Loa and is also a shield variety and a popular tourist attraction. A stratovolcano, or composite volcano, is among the most dangerous erupting volcanoes. A stratovolcano is characterized by its triangular shape. They tend to have very steep slopes and are symmetrical. They sometimes rise up to 10,000 feet above sea level and create some of the planet’s most majestic mountains. The eruptions from this type of volcano can often be very violent, throwing rock, ash and lava high into the air. In addition, the steep slopes of these volcanoes make the lava flows very fast and more difficult to escape than the slowly oozing flows of the shield variety. 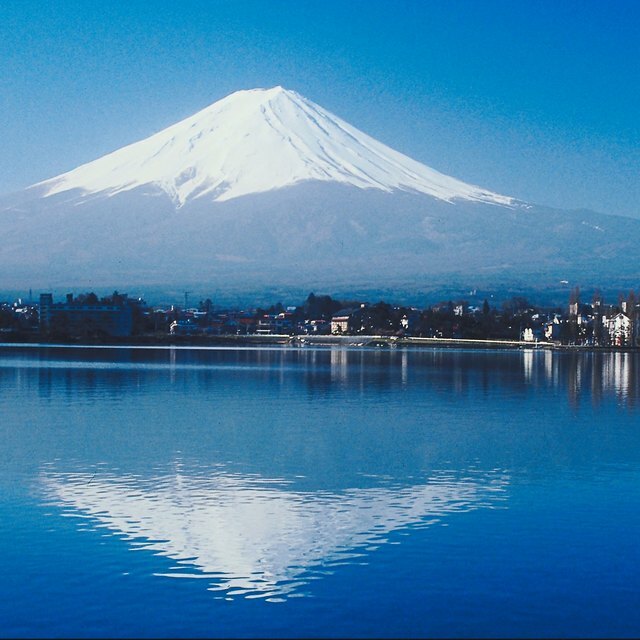 Mount St. Helens in Washington and Mount Fuji in Japan as well as the ancient and deadly Vesuvius were all this type. Cinder cones are generally small volcanoes that are characterized by their rounded shape and relatively small height – usually a maximum of 1,000 feet. These hill-like volcanoes are characterized by a single crater at the top of the cone and their eruption style that throws blobs of lava and ash that fall around the crater, helping to build the cone. The cinder cone is made almost entirely from the lava expelled during the eruptions. An example of a cinder cone is the one protruding from Crater Lake in Oregon. A caldera is a symbol of a very violent past. This type of crater is the aftermath of an eruption of another volcano that is so violent that the entire lava chamber of the volcano collapses and forms a giant crater in the ground that can sometimes extend for miles. A caldera can still erupt, and its eruptions can still be quite violent. Krakatoa, Santorini and Yellowstone are all examples of calderas. Morgan, Lee. "What Characteristics Do Volcanoes Have?" Sciencing, https://sciencing.com/characteristics-do-volcanoes-8422960.html. 20 April 2018.